Our mission is to provide quality, stress- free, convenient, and professional grooming for your pet in our brand new state-of-the art mobile grooming salon. Thank you for choosing Groomin’ K9s Mobile Salon for your pet’s professional grooming services. We proudly offer personal attention to your pet in our brand-new state of the art grooming salon. We strive to offer a stress-free grooming experience for your pet. Our salon is air conditioned and heated. We are all self-contained for hot and cold water and electricity. We bath in a full sized, stainless steel tub with an exfoliating hydro-surge bathing system, which helps your pet relax and gets them extra clean, while loosening up the dead hair and dry-flaky skin. All our high velocity dryers contain no heat, which makes it safer for your pet and gentler on their coat and skin. By us coming to your pet it will help to eliminate a lot of anticipation and anxiety in your pet. 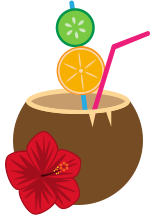 Groomin’ K9’s Mobile Salon is a fully insured business ready to pamper your pet. 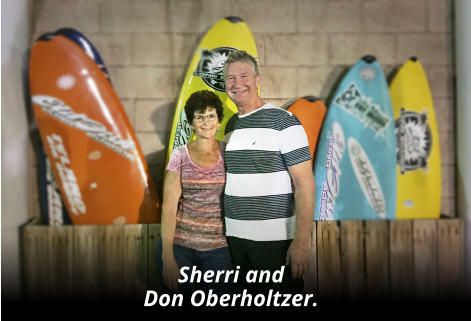 Sherri and Don Oberholtzer have been professionally grooming as a husband and wife team since 1998. Sherri is a graduate of the New York School of Dog Grooming and Don is a Certified Bather with attention in skin care. Late in 2015 they sold their successful boarding and grooming salon in Central PA to move to the lovely Port Charlotte Florida area. This move allowed them to warm up after enduring many cold winters in PA and enjoy a more active lifestyle in a relaxed, comfortable environment.